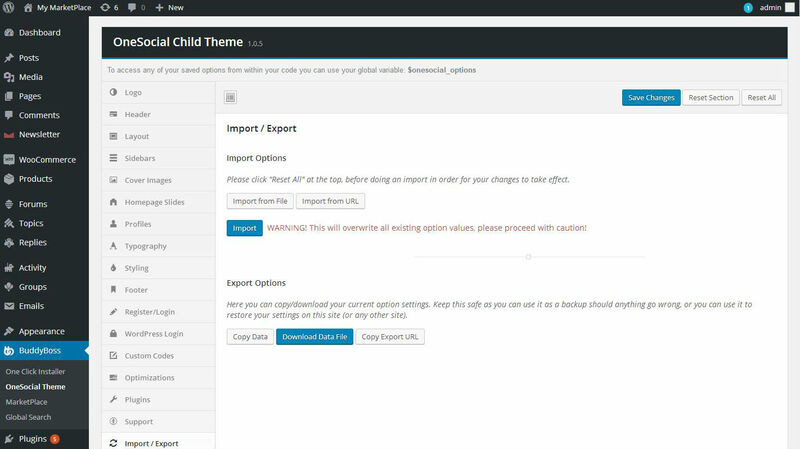 To restore/import settings simply click on the "Import from File" button and select your downloaded json file, then click on the "Import" button. WARNING! This will overwrite all existing option values, please proceed with caution!